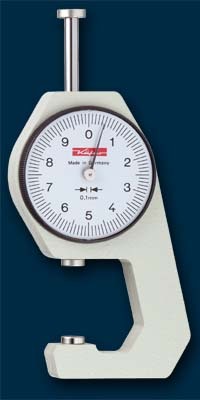 If you do not wish to be constantly reliant on stationary equipment when gauging the thickness of a material, it is advisable to use our thickness gauges. 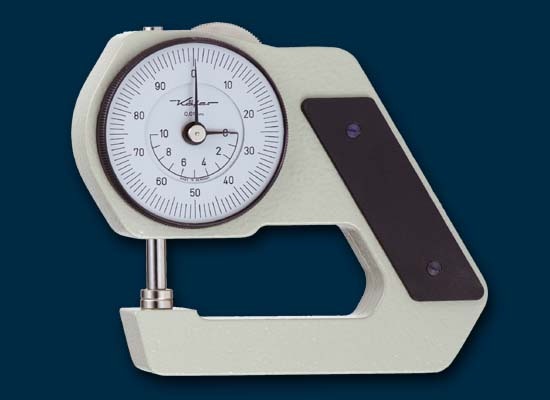 If you do not wish to be constantly reliant on stationary equipment when gauging the thickness of a material, it is advisable to use our thickness gauges. 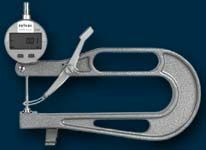 Thickness gauges can be used locally and can be specialised to meet the requirements of your particular task by selection of the feelers. We now supply not only thickness gauges but also measuring instruments used for quite specific measurement tasks. 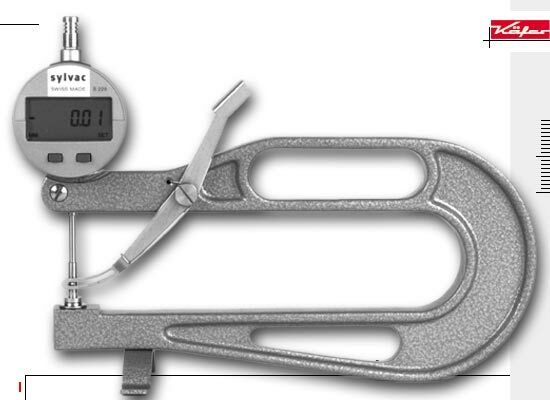 Wire, corrugated board, carpet and plastic film thickness gauges are but a few examples of this type. Perhaps you wish to gauge the thickness of your fingernails but cannot find a suitable measuring instrument? Let us solve your measurement problems together. The tables below provide an overview of the capabilities we offer when suppyling thickness gauges. JZ 45 .001" .400" 1.8"
JZ 50 with lifting device .001" .400" 2"
JZ 200 .001" .400" 8"
*JD 200/25 Z .001" 1" 8"
*FD 200/25 Z .0001" 1" 8"
soft leather, cardboard, paper, plastic films hard leather, plywood and fibreboards sheet metal etc.